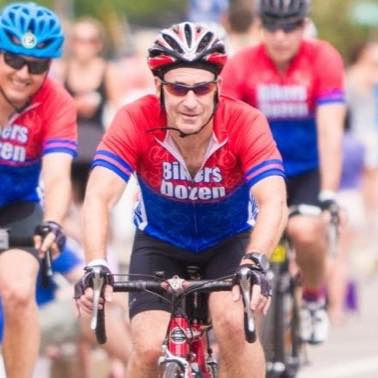 For the ELEVENTH straight year, I will be riding in the Pan Mass Challenge, the nation's leading fundraising bike-a-thon which raises needed money for cancer research. This year's ride is August 4th and 5th. 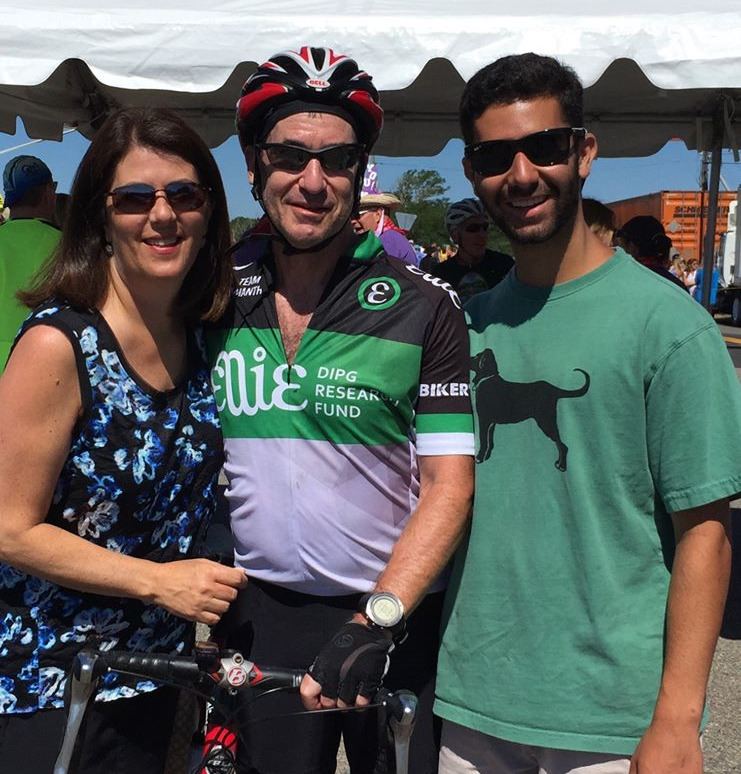 Once again, I will be completing the 2 day, 192 mile ride from Sturbridge to Provincetown. 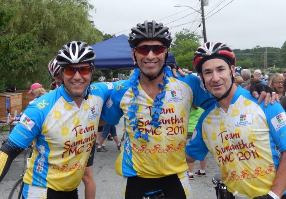 The PMC donates 100 percent of every rider-raised dollar directly to the Dana-Farber Cancer Institute and is the institute's largest single contributor, raising more than 52 percent of the annual revenue at the Jimmy Fund. In 2017, the PMC raised $51 million bringing its 38 year total to $598 million! Ten years in and I am proud to say that thanks to you I've raised over $53 thousand. Last year I raised a personal record of over $9000! I am riding for one reason: CANCER. Like many of you, my life has been touched by cancer. I lost my mother, Cynthia and my father, Bernard to cancer at far too young an age. With your donation, my hope is that we can get one step closer to finally finding a cure for this disease. 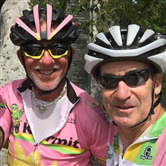 This year, I am proud and excited to join and ride with Team Kermit. 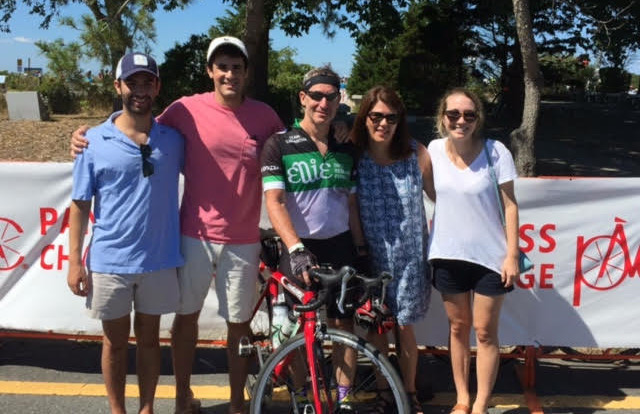 Team Kermit was formed in 2005 by Steven and Ellen Branfman and their sons Adam and Jared while Jared was undergoing treatment at the Jimmy Fund. The team is named for Kermit the Frog of Sesame Street fame. Kermit was one of Jared's favorite childhood characters and represents the ability that people have to rise above the ordinary in order to achieve great results. Kermit's theme It's not easy being green became Jared's mantra and helped him endure and even laugh through the often grueling treatments. In September 2005, Jared passed away after a 2 1/2 year battle with the disease. He was 23 years old. All the money raised by Team Kermit goes through the PMC into supporting research into the family of pediatric brain tumors that Jared had, and is helping to make the dream of no more cancer a reality. This year I hope to once again raise $9000 for this great cause. 100% of your tax deductible donation will go directly to cancer research and treatment! Not a single dollar is used to fund the PMC ride itself. To donate via check, please make it payable to PMC Fund and mail it to my attention at 30 Winslow Road, Needham, MA 02492. I know that many of your lives have been touched by cancer. For this reason I feel privileged to reach out to you to help fund the research so necessary for advancing treatments, improving lives, and finally achieving our true mission –a universal Cure! I truly appreciate any contributions you can make on my behalf.